Beautiful, Private, and Refined Home...adventurer's Paradise! Adventurer's Paradise...direct Access to Ocean, River, and Rainforest! Orbitz makes it easy to find the best Finca 6 Archaeological Site hotel deals for your trip. With an outstanding selection, easy-to-use search tools and descriptive hotel profiles, you'll find Finca 6 Archaeological Site hotel deals in a wink.. 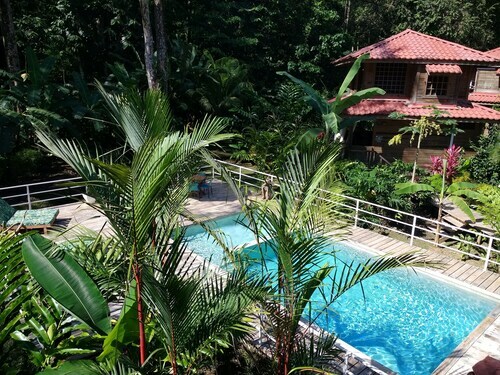 Whether you're searching for hotels in Finca 6 Archaeological Site on business, or hunting for a family getaway, Finca 6 Archaeological Site hotel options are only a click away. Find hotels in Finca 6 Archaeological Site with the location, star-rating and facilities you need. Narrow your search results even further by star rating, hotel chain and amenities, such as free parking, babysitting services, or fitness centers. And with area maps, you can view Finca 6 Archaeological Site hotels close you are to the airport and nearby attractions. Thanks to photos and virtual tours, you can look before you book your Finca 6 Archaeological Site hotel reservation. Check out Finca 6 Archaeological Site hotel properties using interactive tools which allow you view hotel rooms, common areas and key features. On Orbitz, you can also learn more about hotels in Finca 6 Archaeological Site with unbiased reviews from verified Finca 6 Archaeological Site hotel guests. We ask guests to offer candid feedback on services, comfort, location, value and amenities. Orbitz works around the clock to find exclusive offers and Finca 6 Archaeological Site hotel deals, just for you. Sign up for deals by e-mail where you'll get first crack at money-saving extras like promo codes, resort credits, free nights and more. You can also "Like" Orbitz on Facebook and follow us on Twitter to receive up-to-the-minute news on hotel discounts, giveaways and more. When it comes to finding hotels in Finca 6 Archaeological Site, an Orbitz specialist can help you find the property right for you. Chat live or call 1-800-454-3743 any time for help booking your hotels in Finca 6 Archaeological Site. Our team of experts can help you pinpoint Finca 6 Archaeological Site hotels options suited to your tastes and budget. On Orbitz, Finca 6 Archaeological Site hotel deals mean flexibility. If you need to change your Finca 6 Archaeological Site hotel reservations, or cancel your stay, Orbitz doesn't charge cancel or change fees. Orbitz also offers great selection on airline tickets, vacation packages, and car rental deals to so you can plan your trip to Finca 6 Archaeological Site all in one place. 5.0 It doesn't get any better! "A Rain Forest Haven!" This hotel/bed &breakfast was amazing. The architecture is very well thought out and is very impressive. You can tell that an incredible amount of love and attention to detail went into the creation of this "Rain Forest Haven". The pool is terrific. 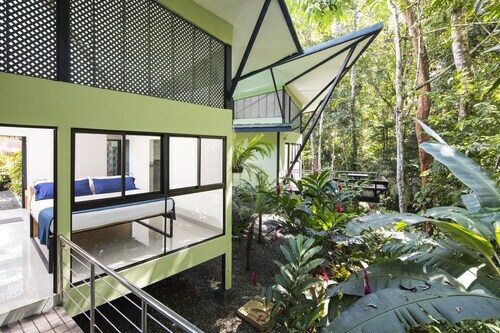 The view from your bed is a lush rain forest with various sounds of birds chirping. You may also see or hear the Howler monkeys. The owners made a breakfast that was delectable. They are very well educated and we enjoyed our conversation with them. Good food and nice property. This property is close to 2 beaches. Playa Ventanas which is about 8 Km from hotel was beautiful. Enzo and his wife, who run the hotel are very nice. Property has nice pool and also a pool table. 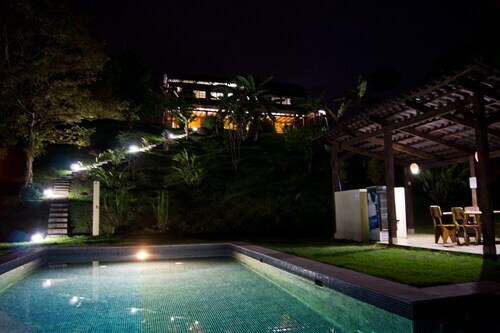 Chontales Home W/saltwater Pool & Ocean Views! THE Ocean, THE Jungle, THE Mountains - ALL IN ONE Location! American Comfort With Costa Rican Flair!